14.95 paperback. Inquire on availability of hardbound copies. 20 copies, 150.00 Supplication for the Rebirth of the Vidyadhara Chogyam Trungpa, Rinpoche. Poem by Allen Ginsberg. Concept and drawing by Nancy Davis. Typography and printing by Arion Press using Spectrum types and Rives paper. 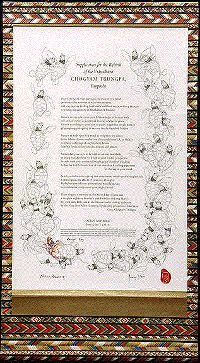 The Scroll was executed by Arnold Martinez using Japanese patterned paper and is 35" X 19". 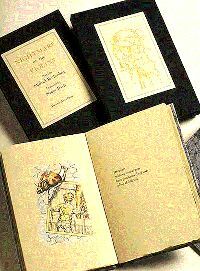 Published in an edition of 76 copies, 26 are hand colored, lettered A to Z, signed by the artist and poet, boxed in Alaskan yellow cedar. The box design is by Tom Bass. 50 copies are boxed in Alaskan yellow cedar, numbered and signed. 26 copies, 15.00 Nightmare Of The Violins. Poem by Michael Rothenberg. Illustrations by Nancy Davis. Twowindows Press, Berkeley. 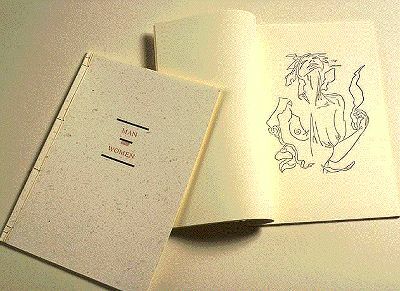 Printed in an edition of two hundred and twenty-six copies, from Van Dijck types. 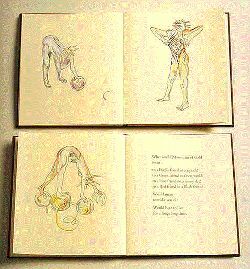 Twenty-six copies, hand colored by the artist are on handmade Prairie by Twinrocker, bound by Arnold Martinez in paper over boards with quarter whip snake, boxed in cloth over boards, lettered A to Z and signed by poet, artist and printer. 1987. Home Movies. A collection of poems by Steve Luttrell. Book design by Jeffrey Haste. 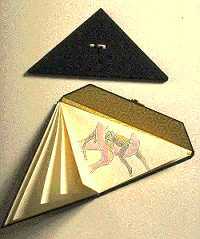 Cover art by Michael Waterman. 61 pages.